Exponential Training > Accreditation > Which Qualification is Right for Me? Choosing the right qualification might look to be tricky, but with a little knowledge and help it can be quite straightforward. All of our qualifications, whether Management and Leadership, Consulting and Business Support or Coaching and Mentoring are awarded by the Chartered Management Institute (CMI). Why does Exponential Training choose CMI? As the only chartered professional body in the UK dedicated to promoting the highest standards in Management and Leadership excellence, the Exponential team believes that CMI is the market leading Awarding Body for qualifications within these disciplines. With more than 100,000 membership community and is the only body able to award the Chartered Manager. The Office of Qualifications and Examinations Regulation (Ofqual) is the regulator of qualifications, examinations and assessments in England and vocational qualifications in Northern Ireland. It is independent of Government ministers and reports directly to Parliament in Westminster and the Northern Ireland Assembly. 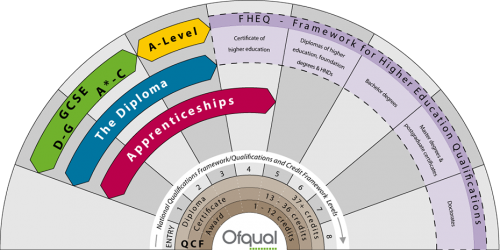 All CMI qualifications are registered and regulated by Ofqual. Vocationally Related Qualifications (VRQ) offer pathways and levels which focus on the development of the underlying principals and practical skills associated with a job role. They are designed to deliver a high level of occupational capability, and a sound platform to progress your career and prepare you for a future job role or position. Their flexible structure means that they are suitable whether you are in full time or part time employment or education, seeking employment or promotion, changing career or wanting to undertake continuous professional development. National Vocational Qualifications (NVQ) are usually completed in the workplace and confirm your ability to actually do the job, which makes them suitable to take whilst in work. An NVQ is right for you if you are in a position to be able to demonstrate that you can do certain work-related tasks: you need to be in a suitable job role to meet the assessment criteria. CMI qualifications are made up of units which provide a flexible way of gaining a qualification. 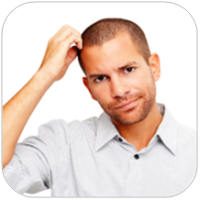 Each unit has a credit value which tells you how many credits are awarded when a unit is completed. Units build up to qualifications and there are three sizes of qualification: Award, Certificate and Diploma. Award qualifications are usually one unit of the full qualification and Certificates the first two or three units. In this way, you can progress from an Award to a Certificate and to a Diploma. This depends on two things. Firstly, the size of the qualification you want to complete. Secondly, how fast you want to complete it. Awards typically take 4 – 6 weeks; Certificates 6 – 16 weeks; and Diplomas 6 – 12 months. Since Exponential delivers most of the qualifications using distance learning, you have the flexibility to complete your qualification a little faster or over a longer time-scale to suit your personal circumstances. The costs vary according to the level and size of the qualification you choose. Level 7 qualifications and Diploma qualifications cost more than Level 3 qualifications and Award qualifications respectively. This means there is qualifications that will suit your budget – when you are ready you can add more units to upgrade your Award into a Certificate and your Certificate into a Diploma. I am always happy to spend time helping our clients make the right choice, so please feel free to call me on +44 (0)1455 845071 or leave a comment below if you want to discuss the right choice for you. Alternatively, check out our online tool Which Qualification is Right for Me?